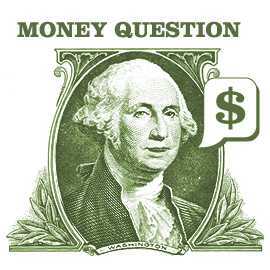 Every has questions about money every now and again. I hoped people might make use of the contact button under my logo, but it seems most would rather have a root canal. That’s fine. You still aren’t going to get away without getting your questions answered. Moolanomy Answers is here to make sure of that. You might know Moolanomy from his very popular personal finance blog… or one of several hundred concurrent projects he runs. Those projects range from Personal Finance Buzz, a place to vote up your favorite personal finance posts, to Blogthority, a resource dedicated to all things blogging. To be brutally honest, his lack of Laziness bugged the poop right out of me. He is very much Bizarro Lazy Man. I got over this bitterness though. We are on the same team – trying to help people better manage their money to live well and be happy. Getting back to Moolanomy Answers, you can either ask questions, or if you think you are Mr. Smarty Pants, give a shot at answering questions. By answering questions you’ll earn points. For a limited time the points could win you an iPod Shuffle. Help people out and get a chance at free music? That sounds like a win to me. Reader Email: Help Me, I’ve Been Evicted! Every now and again, I get e-mails from readers asking for advice. I always stress that I’m licensed to give individual financial advice. However, I often opine with what steps I would take if I found myself in a similar situation. Hi, I briefly read some of your articles. I need financial help and don’t know if you can help. I have made poor financial choices in the past. I am in debt and can’t seem to get a helping hand. I was a Prosper client in the past, but never was able to get funded. My credit score has dropped and therefore couldn’t continue w/Prosper. I am married w/ three children and a baby due in a couple of months. I have foreclosed on an investment property and gotten evicted on the home lived in. I have no home of my own to live in and I’m very stressed out about this. I am now trying to get a home to live in, but because of my past history can’t even rent something. I was looking itno rent to own programs in my area and they want big down payments because of my eviction/foreclosure. I need $5,000-$8,000 for a down payment and would like to consolidate my debt. I have various other personal loans, totaling $5,000. If someone could just fund me what I owed and let me borrow the down payment for my home, I know I can get back in track. Ideally I want to only worry about a house payment and repaying whoever can consolidate my debts. I have a stable job working for the state I live in. I worked there for nine years. My husband also has a stable job as a wheelchair/elevator installer. I am very trustworthy and though my credit history might say something else. Please let me know if any help is available. This e-mail hit me like a ton of bricks. Though the desperation seems obvious here, the unedited e-mail was even more explicit. Often times I write about why America needs to wake up financially, but I don’t typically have the pulse of the problems. They usually come to me in statistical form, not from a real person with a very real problem. Transportation – How much is the family van worth now? What could you get if it were sold? I know you owe $17,000 on it, but perhaps if you talk to the dealership, you can trade it in for used Kia Sportage. If your current van is worth $14,000 to the dealer, perhaps you’ll only owe $3,000 plus the price of the Kia. I’m seeing a 1999 Kia Sportage on Ebay for $1,600. This would take the total cost of your family van from $17,000 to $4,600. If your husband’s work car is worth more than the $1,800 you might be able to sell it and buy a cheaper. If it’s worth $6,000, you can sell it, pay off the $1800 you owe on it and have $4200 left over, enough for the Sportage or a good chunk of down payment. If nothing else these two moves should help you look better to landlords. It shows that you are willing to make moves to turn things around. I think at that point, with two steady jobs, I think you could draft up a very convincing piece of paper of income and debts that may make you seem like a better person to rent to. Here are some hints to Save Money on Cars, but in your unique circumstance, I wouldn’t necessarily look to stick with the car you own. Focus on the Basics – From the desperation and lack of home, I think Candi should focus on the basics like food, shelter, clothing, etc. Anything extra (like the cars) has to protect their income and that’s all. Sell Anything Extra of Value – This is much like the above advice. If you are homeless, you won’t have a place for the stuff, so you might as well sell it. As George Carlin once said, “A house is just a pile of stuff with a cover on it – That’s what your house is, a place to keep your stuff while you go out and get – more stuff!” If you have less stuff, you can get a “smaller cover” which will be cheaper. It’s a financial win-win – you make money from your stuff and save money storing it. Look for Outside Help (community/friends/employers) – Religious institutions can help in situations like this. Other times a friend can help. Perhaps one of your employers can front you some money for a place to live. You’ll then have to live on limited income for a bit, but if you reduce your monthly expenses, you could do okay. Look to Eat Cheaply – There are a lot of cheap foods. A diet of beans and rice might not be ideal, but people have historically lived on much less. Just be sure to add a little fruit and maybe some cheap meats to get more nutrition. I know a lot of people who get a lot of expensive junk food. Make a Game of It – It’s going to be tough with 3.8 children. When I was little, my mom used to include me in the bargain shopping. She’d have me on a treasure hunt to find coupons that could save money. I’m the first to admit that I was weird, but this was FUN. The best part was the receipt at the end that showed how much we saved. Using simple division to determine the percentage of savings, I had two scores (net and percentage savings) to try to beat the next time we went shopping. I got very good at math as an added bonus. One might also draw a similar parallel to some parenting tactics displayed in Life is Beautiful . Day Care? – If you have three kids (and the fourth one coming), it may make sense not have a job and save on day-care expenses. I don’t know if you have this expense. If you are making $24,000 after-tax on your job and require a car, professional clothes, etc… and day care is costing you $20,000 it may make sense not to work. So there you have it? Did I miss any obvious things? What would you recommend? For those of you who can’t get enough of my near daily postings, I’ll be serving up an hour of live chat today – from 7-8PM ET. I’m answering questions for Grab.com’s Live Monthly Chat. For more information you can see please check out this page. If you’d like to join the chat, click on this direct link. The direct link might not work since you have to sign up. It’s best to refer to these full instructions. It my first time experimenting with anything like this; I don’t know how successful it will be. If you aren’t in your 40’s, that’s fine, simply come anyway – the page says it’s for all pages. I’ll be co-hosting with Jeremy of Generation X Finance. Since he is the expert, I’m going to defer any tough questions to him. I’ll be jumping on any easy pitches down the middle in an attempt to knock it out of the park. Also, I’m not a financial expert, I don’t even play one on TV. Just because I like to throw a football every now and again, it doesn’t mean that I’m going to be complete 26 of 28 passes in the AFC Divisional Game. Enough of the sports analogies. If your question is important to you, I suggest you see a professional. I had a purpose with the stipulations. I was hoping to coerce the bloggers into coming up with a typical investment that might be a bargain right now. In my opinion many investments are currently getting too “expensive” for their prices. I have no interest in many stocks and sectors as they are near the top of the market. Gold has had a huge run-up over the last few years. The dollar seems to be getting weaker every day. Median home prices in my area are 870K. That eliminates any real estate investment for me, because I already do the long distance landlord thing and I’d probably get out of that game if it wouldn’t cost me thousands of dollars. Commodity prices seem to be soaring by all accounts. I had been teasing with the answer that I would give. I’d be tempted to invest with Prosper basically because there seems to be a lot of demand from overextended Americans. I’ve also done much better when I’ve reviewed my strategy over the last 6 months. However, I’m not quite that confident to put 50K to work in Prosper. When I originally planned the question, Pharmaceutical HOLDRS (symbol: PPH), was looking like a bargain. It’s had a run-up in the last couple of months, and it’s now looking expensive like many other companies. I then looked at Vanguard’s Healthcare ETF (symbol:VHT) and that looks more promising to me. It’s still up around 19.5% this year, so it doesn’t fit my bargain hunting criteria. They say the third try is the charm. I found Biotech Holders (Biotech HOLDRS:BBH). It’s up only around 2% this year, so there’s reason to believe that there’s to grow. Over the last three years it’s up 23% compared to the S&P500’s 42%. The clincher was it’s holdings – Amgen, Genzyme, I think these companies, and the sector in general, is well positioned for the next ten years.